I have mentioned I am a fan of skeptic cruises. They are a rarity for me, but if you have a chance to go please do so. 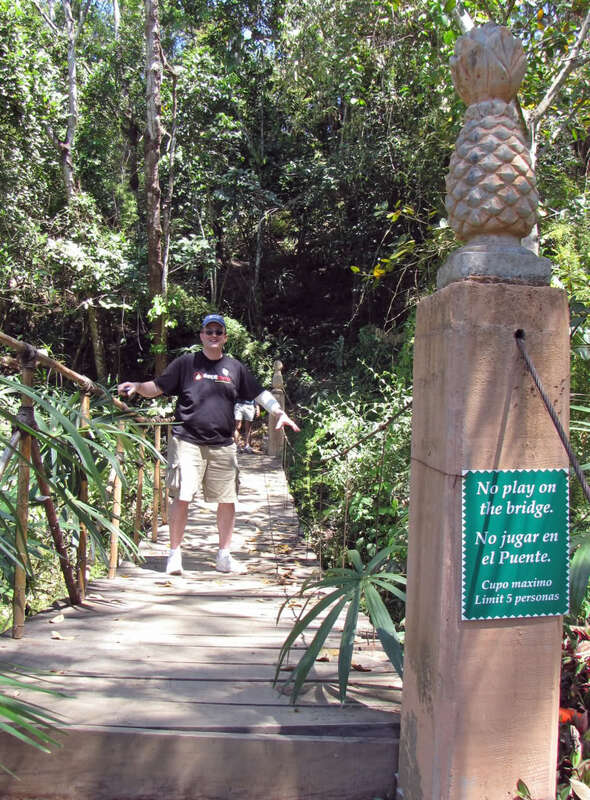 Jeff Wagg and the JREF put on some truly AMAZING cruises, and one of my favorites was to the Western Coast of Mexico. I gave a talk about Mexican UFOs (trust me, Mexico is a UFO “hot spot”). I had my usual fun question and answer session, and gave out prizes. My knit alien hats are a usually big hit with adults and children. 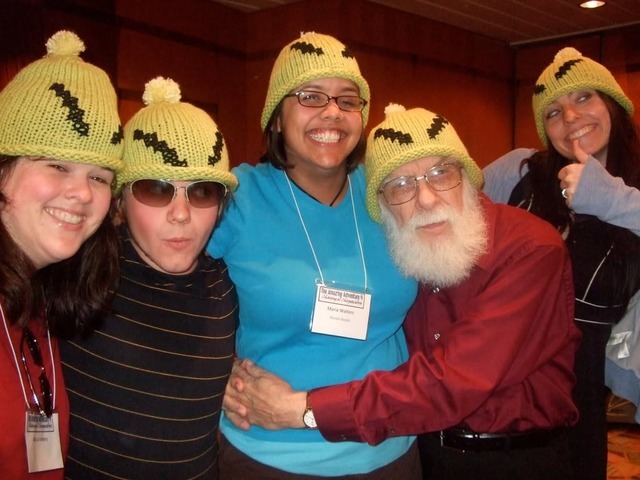 I still have to knit up a new batch every year for babies that are born to the skeptic community. One of my favorite parts of the cruise was the contest for the “best superstition”. The group had a couple of days to photograph of video the best superstition they could find. We all hear how critical thinkers and skeptics aren’t creative, but you would never know it from the entries. I don’t know what the good citizens of Mexico thought of the peculiar tourists jumping on cracks to break their mother’s backs and getting married (pretend married) on an unlucky day. Then of course there were the new superstitions everyone made up. Some involved an iguana wearing a tiny hat. I had two entries. The first involved this sign…. Why could we not “play” on this bridge? This obviously was a superstition needing to be BROKEN! I need to extend a huge thanks to Tim Farley for taping the incredible feat my fellow skeptic cruiser, Jesus, and I braved. At first no one got it. My name is “Kitty” and I’m reading Schrodinger while in a “box”. If that is not breaking some superstition, well, it should be. 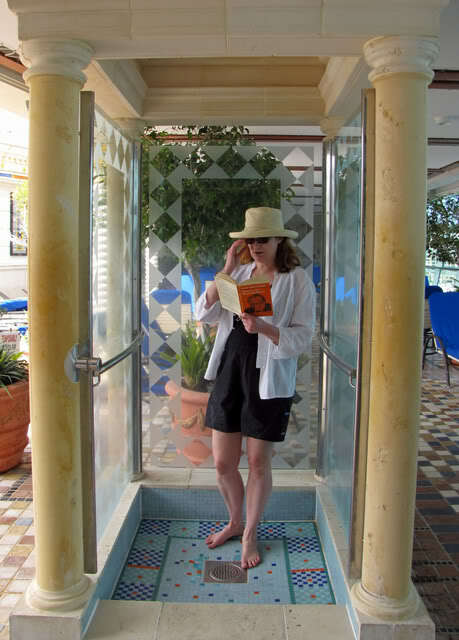 The salt water pool shower was as close to a large box as could be found on the cruise ship. I won a signed copy of “The Faith Healers”, by James Randi, a book well worth a read and re reading for anyone. Skeptics can be creative when needed, especially when there is a terrific prize involved! « New York City Tarot Reader!